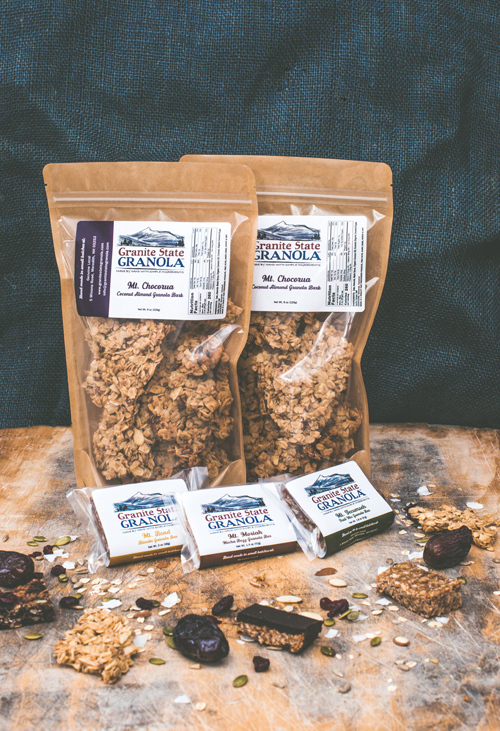 Granite State Granola, LLC is a woman-owned, New Hampshire-based, small business. Our recipes were originally dreamed up in our family kitchen using a counter-top mixer and ingredients from our pantry. While we now work out of a licensed commercial kitchen, all of our products are still made by hand in small batches. 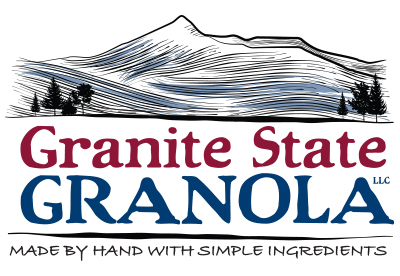 All Granite State Granola, LLC products are vegan, packed with protein, and naturally sweetened. They are available in a variety of clean, simple flavors that your whole family is sure to love, including Mt. Chocorua Coconut Almond Granola Bark, Mt. Moriah Mocha Buzz Granola Bar, Mt. Tecumseh Trail Mix Granola Bar, and Mt. Bond Blondie Granola Bar.